The lounge/bar area at Koi. 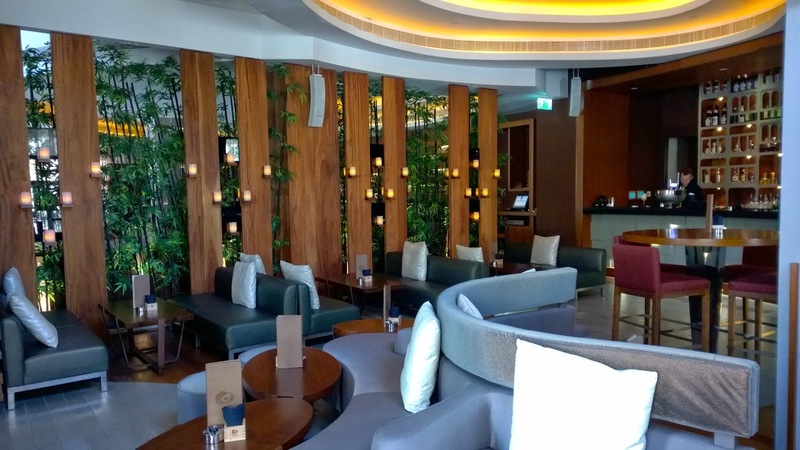 It will not be long before we see more brunches in Abu Dhabi with an a la carte concept. A point I have made before is that regular brunch guests are learning to predict the make up of a typical brunch. When Koi launched its brunch more than a year ago I was excited because it was an all-a la carte set. A Today, they are still one of a few restaurants to offer this. I have no doubt it will catch on. It is a compact brunch, with seating for about 65 guests indoors and another 30 or so outside. This has clear advantages - highly personalised service, quick delivery of dishes and intimacy of course. The concept is simple: an a la carte menu with options spanning starters, main courses and desserts. It is quite an extensive menu, and for someone not all that familiar with Japanese cuisine, it serves as a comprehensive introduction to it. With premium Champagne in a Duval Leroy Brut available, I choose something different, but a great conversation piece. 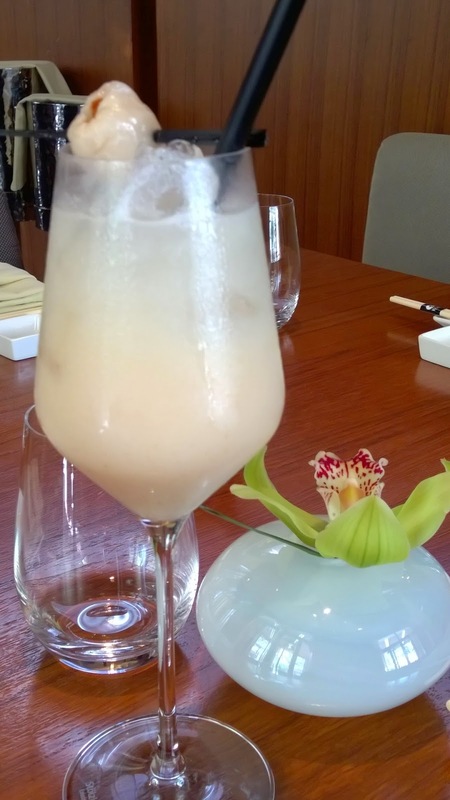 I start my afternoon with a Saketini, a cocktail consisting of sparkling sake, litchi and elder flower syrup. It is light and refreshing. 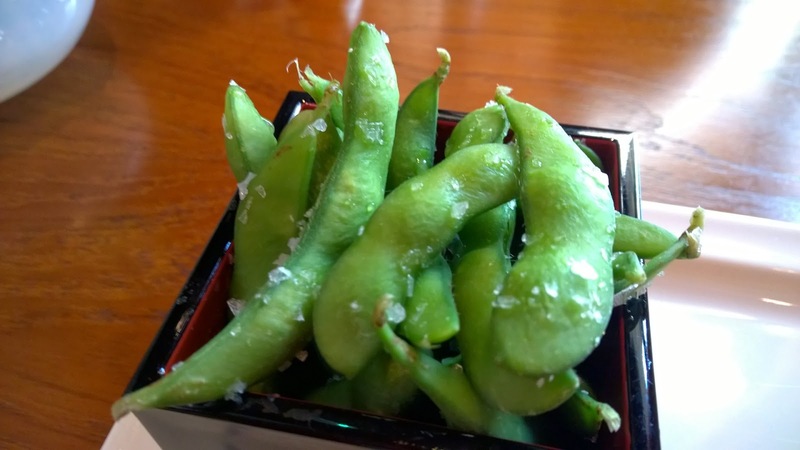 While we wait for the first dishes we have requested, we chew on super fresh and crunchy edamame. In quick succession a couple of dishes are served. A sashimi platter beautifully presented, is placed in front of us - hamachi, salmon and tuna are the main attraction, but shredded daikon (radish), seaweed salad and shiso leaf provide additional colour, textures and flavour to complete this exquisite platter. The accompanying soy sauce is excellent. It reminds of Japan where soy sauce is not as salty as what one usually has in supermarkets here. 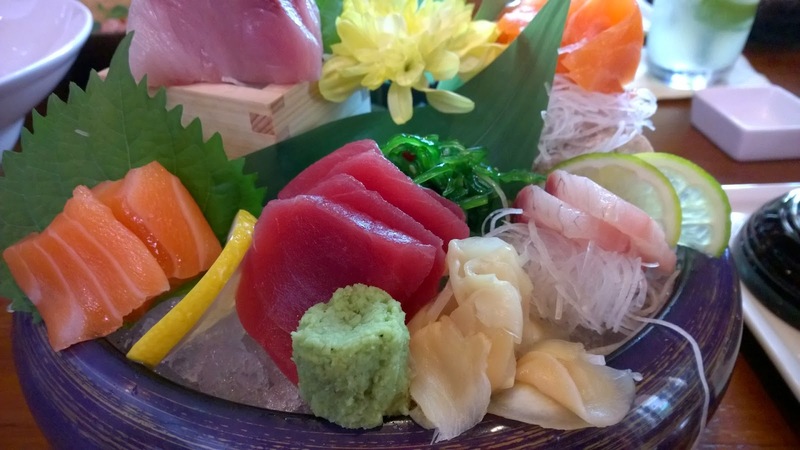 It complements the sashimi, rather than overpower it. The Tuna tartare is no where near what I expected. 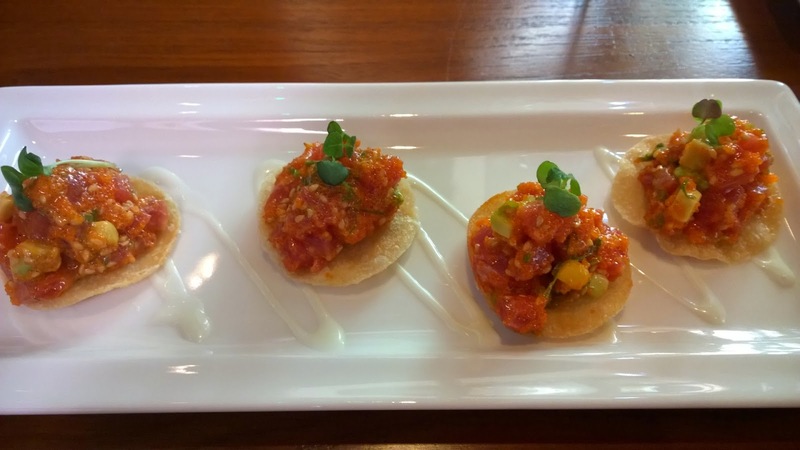 Tuna tartare...what do you visualise when you read the words? 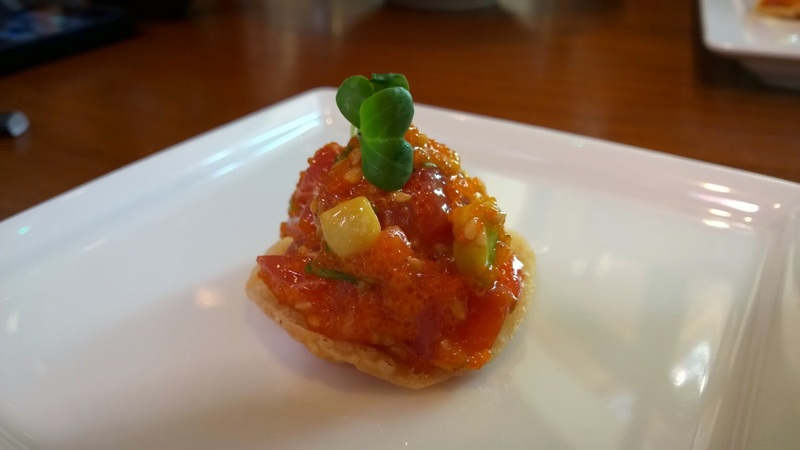 The tuna tartare confounds my expectations. Ground tuna, avocado, and sesame oil all held together by a Californian Mexican sauce, sriracha. All of this is laid on a bed of wasabi mayonnaise on top of a taco. It has bite. Delicious. If the novice to Japanese cuisine that I mentioned earlier were to ask what is meant by 'Californian-inspired Japanese food', this dish would epitomize that. We also try the Crispy rock shrimp cake - spicy, crunchy and as the same suggests, very crispy. Great dish again. 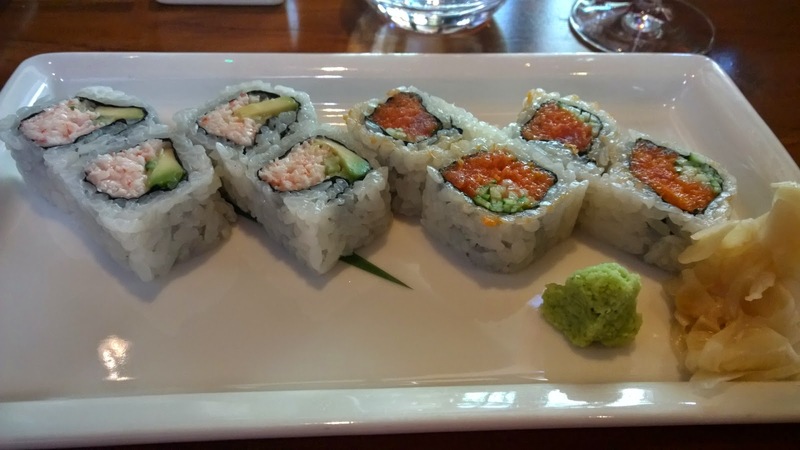 The sushi too is worth more than a mention. The rice is cooked just the right way - not soggy and not hard. Regardless of the filling for the sushi, it is all about the rice. Great job on the rice! The allure of the Duval Leroy is great, but I resist and choose sparkling sake, on its own this time. It is lightly alcoholic, a little sweet but a perfect brunch drink. 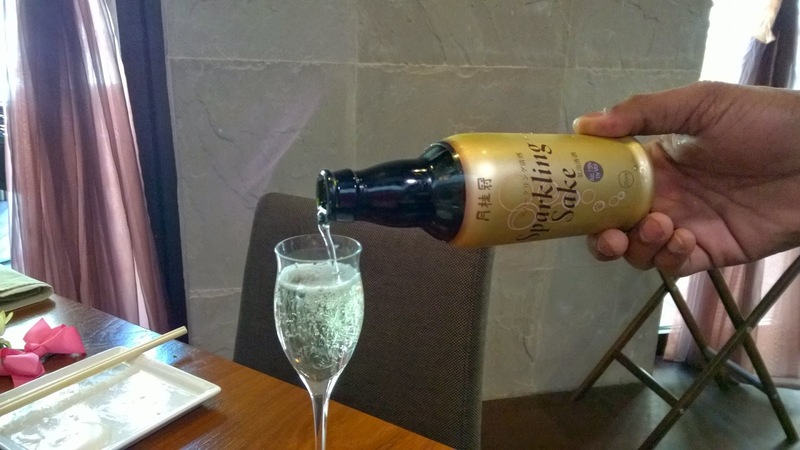 How many brunches offer sparkling sake? As was the case when I had dinner the last time, the service is superb. Our very suave and articulate waiter, Sheik, provides slick, connected service. As he brings each dish, he talks us through it. This is something that would be lost in a buffet brunch. This is that personalised service I think this concept creates. 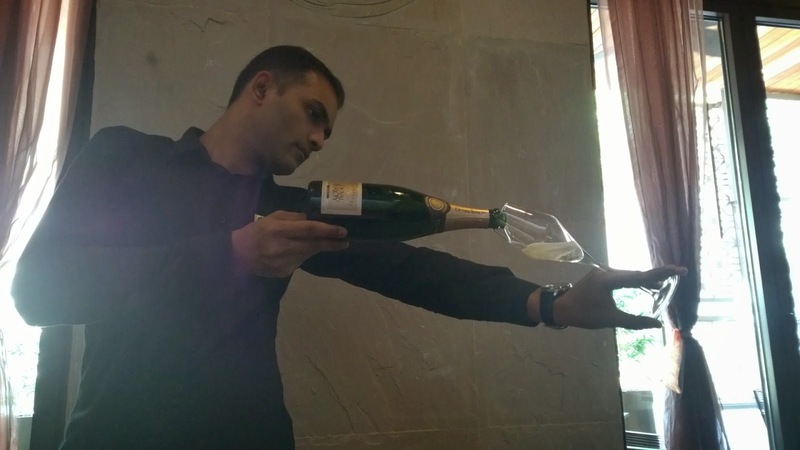 Isn't that a picture reflecting passion and respect for the art of serving Champagne? The brunch at Koi is a vibrant affair. The uptempo music creates an atmosphere where loud laughter and rising chatter do not seem out of place. While tapping my feet to a remixed Depeche Mode song, I decide to switch to the Champagne. It is a good Champagne that is clean, with a nice mousse and refreshing. It is appropriate that the dish of the day should arrive as I make the switch - Chilean seabass tofu salad. It is quite a complex dish with a symphony of flavours. Imagine tofu with seabass inside - that is the dish. As I eat, I enjoy the tart taste of slow cooked cherry tomatoes, dashi soy sauce, shredded spinach, slice steamed asparagus and the clincher - shiso. It is so good that I order a second. An absolutely stunning dish. This is the benefit of having a Chef de cuisine with a rock 'n roll approach to Japanese cuisine! Nothing dull here. 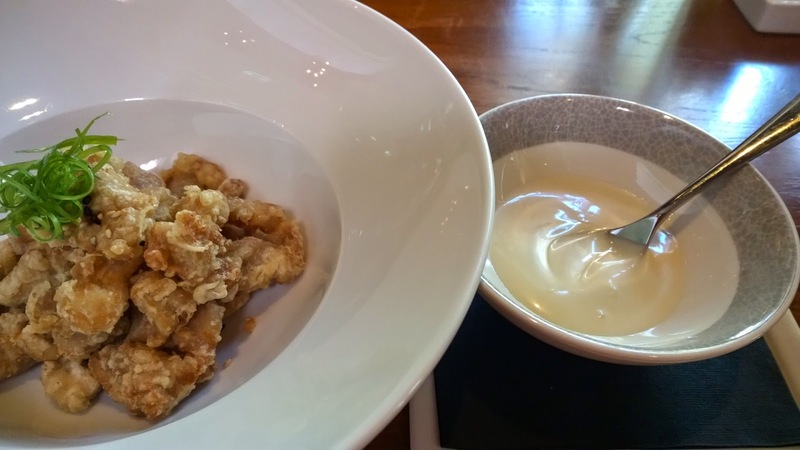 At this point, just before dessert, it occurs to me that even with dishes that are heavily influenced by California, they are very much Japanese in their manner of presentation and use of flavouring. The latter, especially, is one the aspects that makes Japanese cuisine what it is. Even where Chef Sang Lee does use a bit of chili as he does in the sriracha, for example, he is still mindful of not overwhelming the other ingredients. With this in mind, it makes sense that Koi is non-smoking in the dining area, but smoke from the lounge area was discernible at times. Smoke can ruin many a meal, especially Japanese food, so a more effective smoke extracting system in the Lounge might be something worth exploring. Now, dessert is something I anticipated the moment I walked in, and while it is not on the menu, I have to try the mochi ice cream. 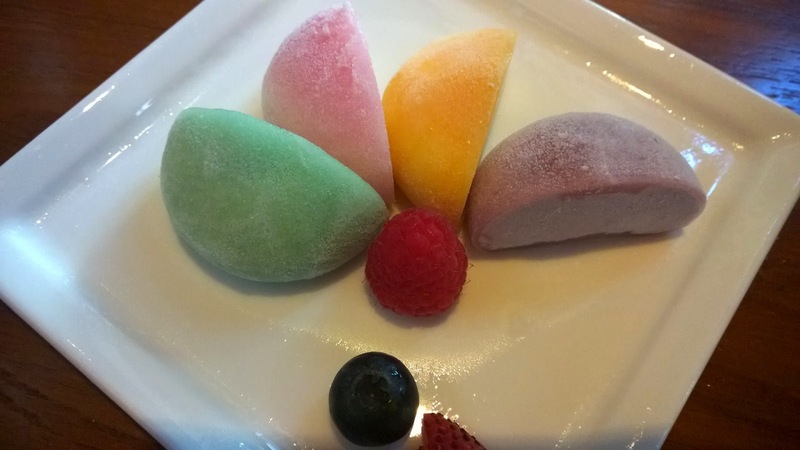 Mochi ice cream, simply, is pounded sticky rice cake filled with ice cream. But trust me, this description comes nowhere close to capturing the pleasure of having it. 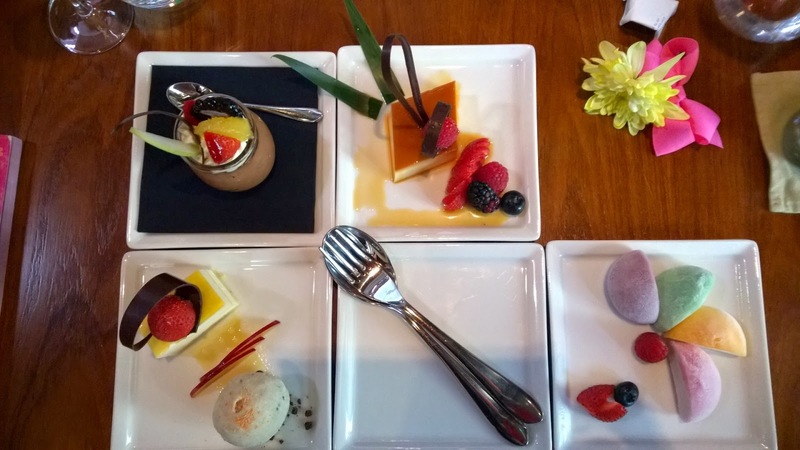 In addition, though, we also have White chocolate passion fruit center with sesame ice cream, Chocolate mousse with orange foam, Crème Caramel with fresh berries and Green tea sorbet. Memorable desserts! From a child's perspective, my daughter had no issues with the menu because she has grown up on Japanese food, so she loved it. She insisted I mention that she enjoyed Koi very much. 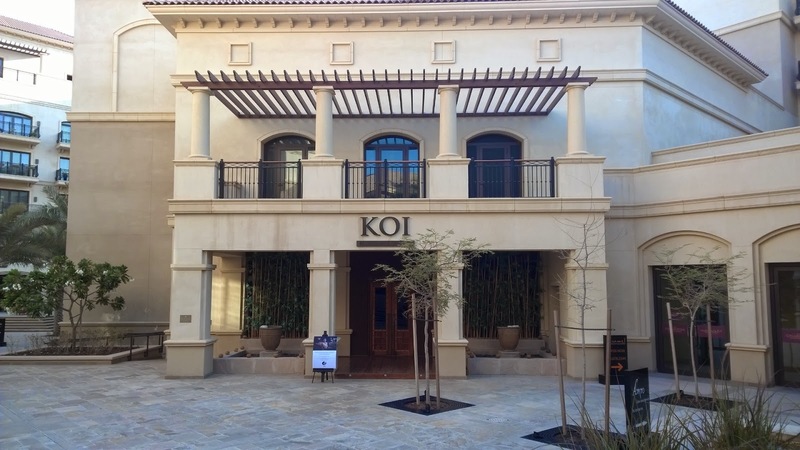 Koi is not very child friendly and I believe this is a good thing. There are enough brunches in the city with clowns, balloons and candy stations. I hope the day never comes when Koi compromises on its menu to make it more child friendly. Having said that, the Popcorn chicken was a great hit at the table. 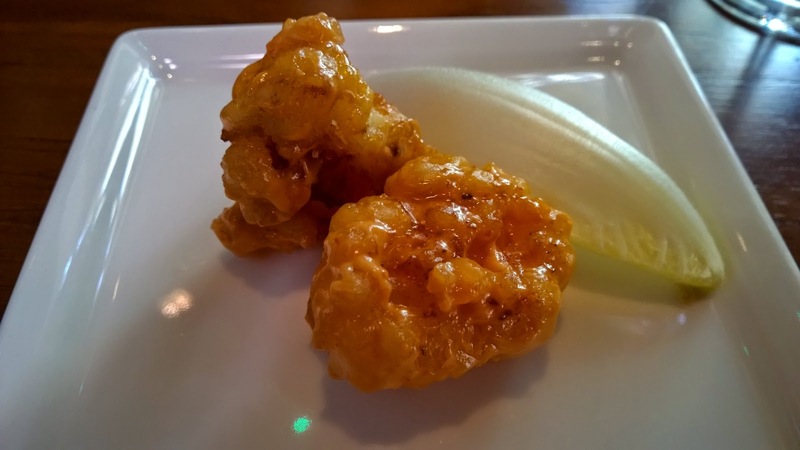 Koi offers a brunch experience that not many others in the city can compete with. It surpassed my expectations and then some. The a la carte concept I believe will appeal to many guests who want a more relaxed brunch and are not confronted with countless buffet items. 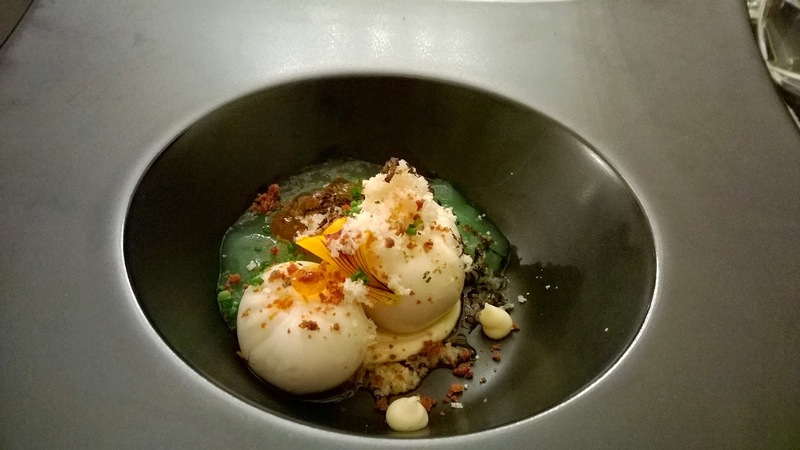 The dishes themselves are beautifully executed in terms of taste and presentation. 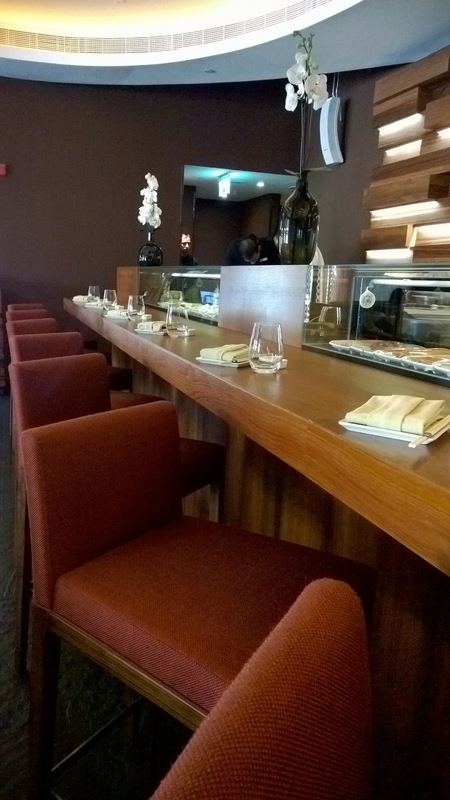 This, matched with service that is perfectly pitched, places Koi in the top 5 brunches in Abu Dhabi. 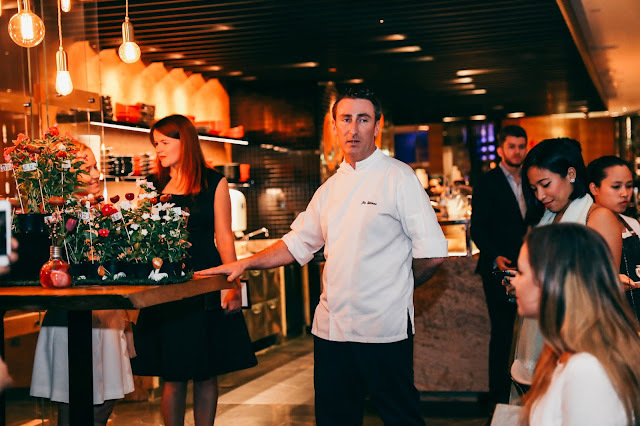 General Manager Alejandro, who has arrived from a stint in Tokyo, will infuse into his staff even more knowledge of what guests will be looking for because of that Japanese perspective he has. His engaging yet unobtrusive hands-on-manner with guests adds to the personal experience of the brunch. So, no, it did not lose its charm or appeal because of the daylight setting. Laughter, clinking of glasses and a splattering of satisfied faces after every bite was testimony to that!